Sustainability in architecture is more important than ever before. Here at Ben Adams Architects, our approach is considered understated, yet effective. We’ve interviewed Jonathan Crosthwaite, Sahar Nava, Nicholas Jewell and Bryan Tsang to discuss the challenges faced from architects involved in these complicated decisions. What are the biggest challenges faced when attempting to design sustainably? Convincing clients: there is almost always a higher cost, so you can imagine that with budget constraints, certain features are unachievable. It is particularly difficult to achieve this for mid-size projects. Larger scale masterplans can achieve a more holistic approach, utilising features such as centralised heating systems. Contrastingly, the smaller projects can achieve an enclosed and self-sufficient environment. There are two main challenges: firstly, the misconceptions of sustainability and secondly, the current legislation. 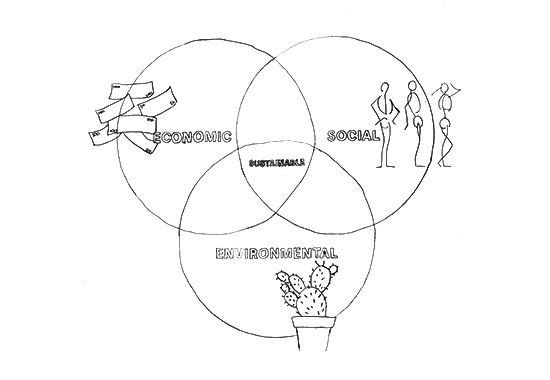 An interesting way to look at sustainability is as a ‘Venn’ diagram; consisting of ecology, economy and society. Social sustainability is often neglected, with little consideration of the inhabitants’ well-being. If we can approach sustainability in this holistic way, then the long term results will be far more effective. Convincing the client that it is worth investing financially in sustainable measures, as they can result in additional cost initially. However, they can generate savings in the long run, in addition to the many benefits that are difficult to quantify in financial terms, such as the building users’ sense of wellbeing etc. What is the most effective way of achieving sustainable design? For the vast majority of mid-sized projects, ‘Recycling’ buildings and future-proofing the design is the most effective way to achieve this. 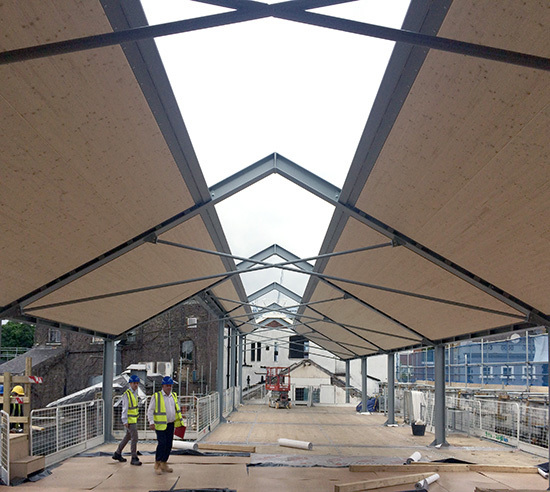 At Ben Adams Architects, our method is simple, we retain as much of the shell and structure of existing buildings. In doing this, there are countless benefits, to name a few: more cost effective, faster turnaround, less impact and sensitivity to surroundings. Designing for the future is another important element of sustainable design which is often overlooked. In our ‘Future Office’ design, we developed the idea of work spaces becoming more fluid. 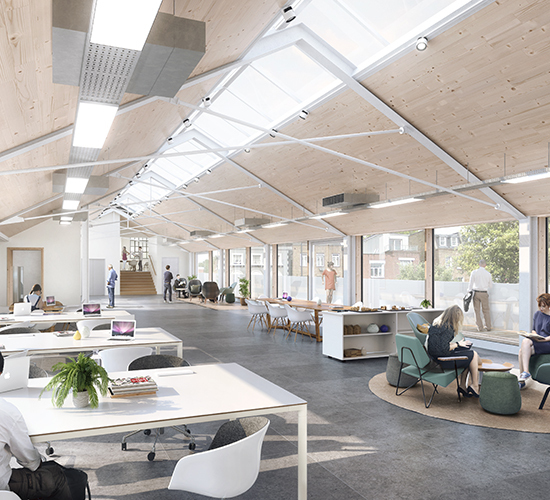 Taking it a step further than ‘co-working’, Workplace buildings should provide bespoke, flexible space that can respond rapidly to the shifting occupancies and way of working the future demands. 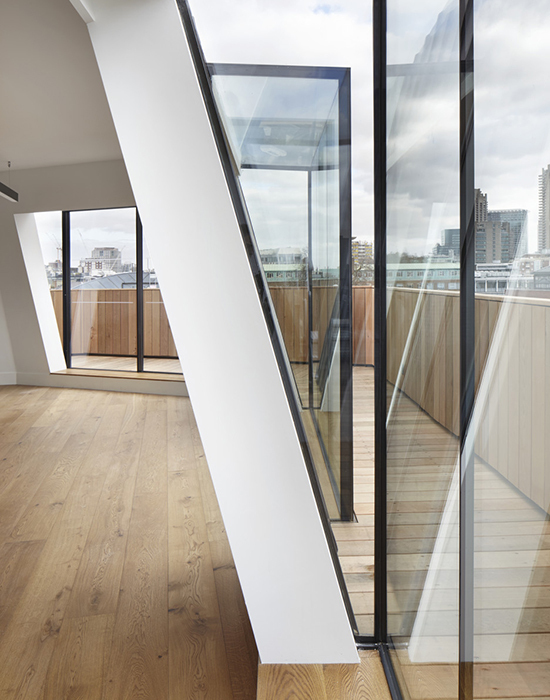 The infrastructure of the modern office has a minimal physical footprint. When users are engaged in the decision-making process, this empowers their sense of belonging, and achieves the best results. We should design with sustainability at the heart of our decisions. The key is to collaborate with the public and to promote community-led developments, to propose and achieve site specific solutions. I am pro retaining existing structures and retrofitting. Having said that, all aspects of sustainability should be taken into account. We cannot impose a ‘one size fits all’ approach to sustainable design. Different projects suit different approaches; whilst for one project reusing is most effective, for another a new-build will be better in the long term. Carefully analysing the site’s environment such as orientation and existing structure (if applicable) so that the design, such as the layout of spaces and the selection of materials, may make the most of what is given already. I think having this holistic approach right from the beginning is more effective than treating sustainability measures as add-ons to a design that has not considered environmental constraints into account. My favourite design feature is: green roofs – they can provide natural habitats in an urban setting to increase biodiversity, whilst providing additional insulation to the roof. It also turns the otherwise uninhabited roof into something beautiful to look at. Which projects have you worked on which you feel you have achieved sustainable design? Merchant’s hall (The Old Sorting house) achieved BREAAM excellent. 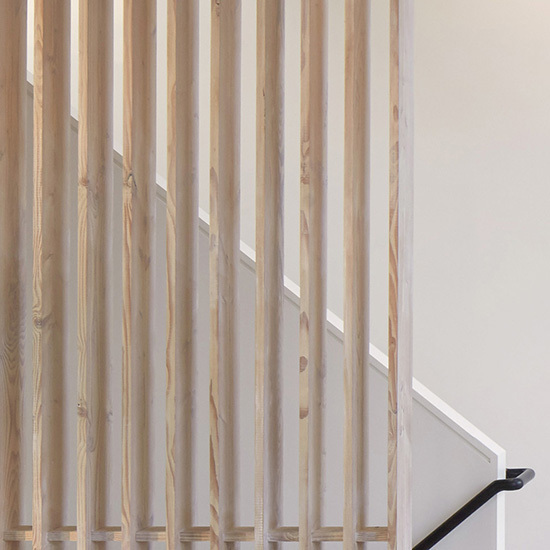 By retaining and reusing the existing building, and incorporating a cL2 structure (cross-laminated timber). Furthermore, these natural materials add to the overall natural feel and enhance the inhabitants’ general experience, thus helping to further future-proof the environment. The site is in a conservation, surrounded by many listed buildings, therefore sustainable targets were incorporated into the planning conditions. Sustainable design should take into account climatic conditions or where you are, as a necessary limitation. It should direct design rather than limit it. On a recent refurbishment project, even though there are no formal sustainability goals, we have gone beyond required regulations. As a result we have a design which will stand the test of time. Our proposal consists of solutions that are energy and cost efficient and contribute to the well-being of the users and the bigger community. 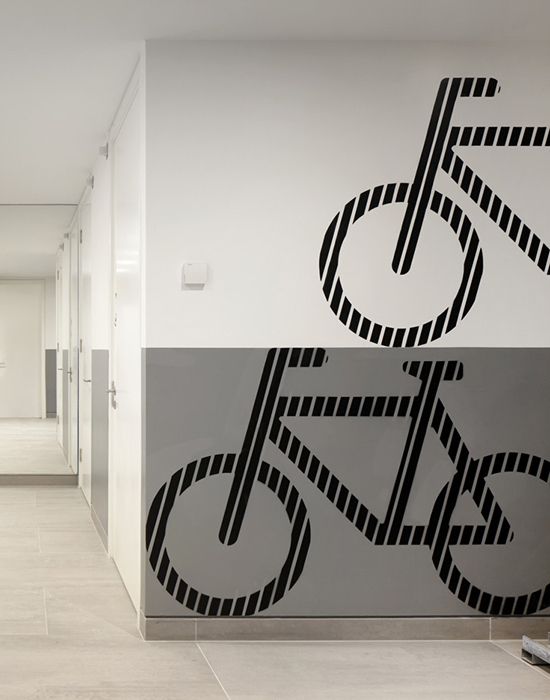 At 80 Clerkenwell Road we designed the basement cycle store to provide a comfortable changing facilities and ample storage facilities, which will encourage the office tenants to cycle to work. We were also rigorous in specifying construction materials to ensure that they are responsibly sourced and are able to meet the technical performance required by the sustainability consultant. How do you measure the sustainability of a project, and how effective do you think the current systems are, such as BREAAM? The current systems in place are helpful, but the architect needs to try and lead the way, so that these systems can be exceeded and evolve. However, I believe longevity and making a place successful is intrinsic to this. This is ultimately more important, as it ensures the building doesn’t need to be knocked down and re-built 10 years down the line. The available accreditation systems provide decent benchmarks for measuring sustainability. However, they are mostly commercialised and neglect to inform legislation strongly enough. For future developments, these guidelines should guarantee that sustainable design is mandated, rather than optional. I think on one hand it is quite difficult to quantify sustainability for measurement, as each site and brief is different. Though that’s not to say current systems such as BREEAM are not useful. They can encourage designers and clients to consider different aspects of reducing energy consumption and increasing the building’s longevity in a project. However they can also be misused as just another tick box exercise due to the itemised nature of scoring systems. What kind of trends have you seen on the rise in sustainable design? 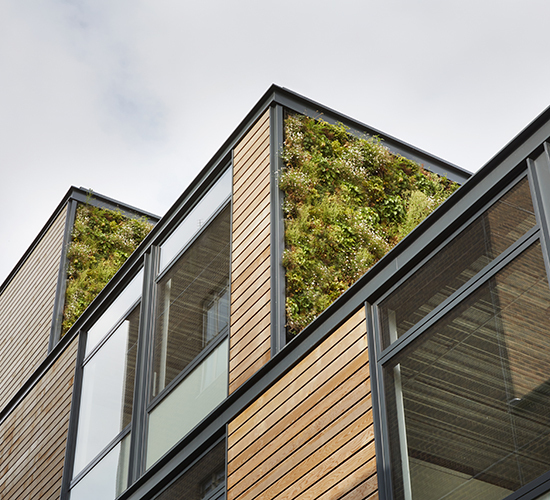 Lately, we have seen a major rise in the number of green and living walls popping up around London. Our green wall at Barley Mow was put in place to enhance the outlook for its neighbours, and consequently has enlivened a worn-out facade. 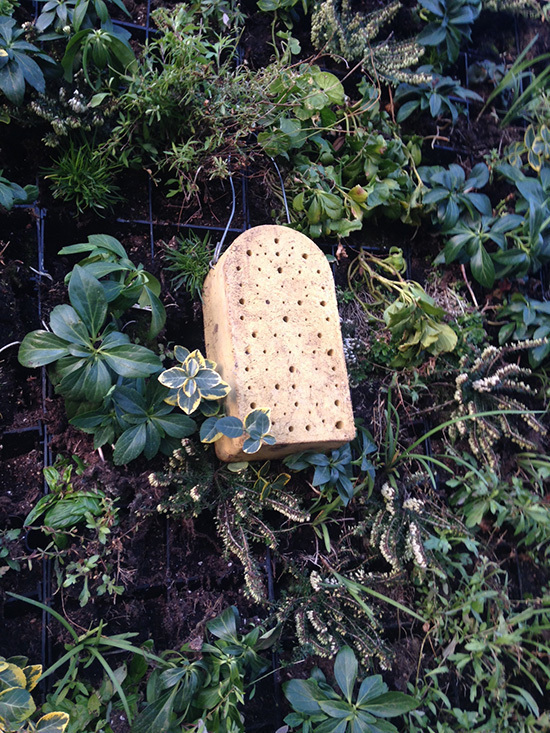 Green walls re-create homes for wildlife and increase biodiversity, multiple bird-boxes were installed at Barley Mow to encourage this. Plants are carefully chosen for their efficient air filtration abilities, resulting in increased air quality and reduced pollution levels. Aside from the apparent physical benefits, living walls can reduce energy costs and noise levels, and can contribute to enhanced mental wellbeing. From an outsider’s perspective, the challenge of creating sustainable design may appear unachievable. The IPCC’s recent report calls for urgent action to be taken to prevent a ‘climate catastrope’. Architects must act now to lead the way in sustainable design, “Built environment firms must act now on climate change”, Will Hurst, Architects’ Journal. With intelligent, resourceful design solutions to future-proof buildings we can help to achieve the IPCC’s goal to keep global warming to a minimum.